When the chance discovery of an ancient cryptogram reveals a path to the Underworld, the adventurous Professor Otto Lidenbrock sets off to Iceland, determined to reach the centre of the earth. But nothing can prepare him and his nephew Axel for what they will find beneath the ground; measureless caverns and vast subterranean seas reveal all of the earth's known history and more, while dinosaurs do battle, giant men herd mastodons, and danger and excitement wait around every corner. 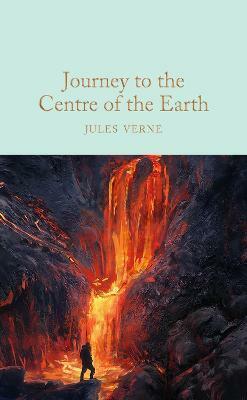 Richly illustrated by Edouard Riou, the French painter and illustrator who worked with Jules Verne on six of his novels, this Macmillan Collector's Library edition of Journey to the Centre of the Earth also includes an afterword by Ned Halley.